Just thought I would show you this adorable 50’s maternity suit I borrowed from my lovely friend Shona. We now seem to be utterly comfortable with our baby bumps and many of us are not afraid to show them off to their best advantage with form fitting tops etc. It seemed to be a totally different story until very recently. The idea was to completely conceal what was going on until the baby popped out into the world. Smocks and very loose fitting dresses were the order of the day! 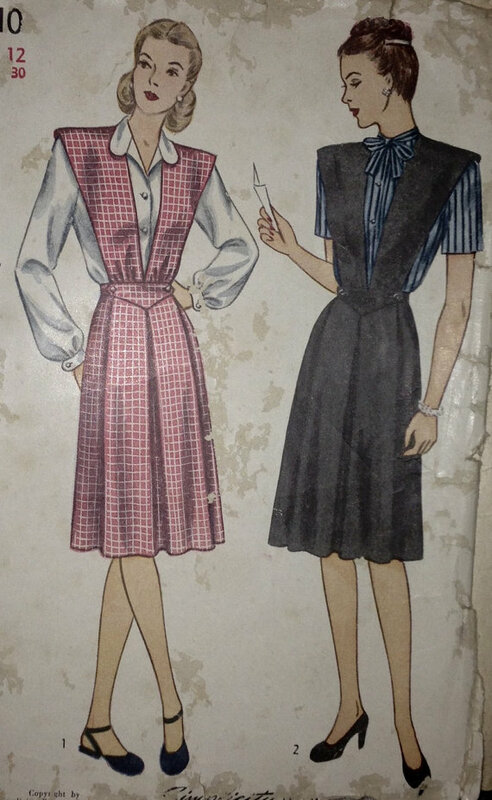 I wanted to make a couple of 1940’s things to wear at some point, so purchased a couple of patterns from Etsy. The covers made me laugh as every single one out there has illustrations of the designs on ladies who are clearly not pregnant. Although stating ‘Maternity’ across the envelope, you wouldn’t know it from what is on the front at all! 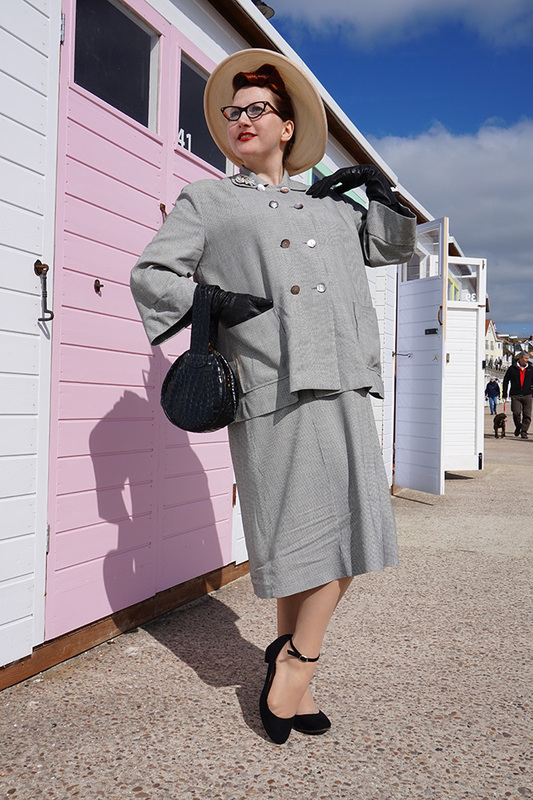 So here is the 1950’s suit I wore to Lyme Regis this weekend. It was very comfortable, the skirt very much so, with a flap at the front concealing a hole so that your baby bump can expand. There are 3 buttons either side that allows the waist to expand also. The jacket is obviously a loose fitting thing that skims over and smooths everything. I would say that a belt under the bust line would improve it immensely! Posted in Day to Day, Fashion and Shopping and tagged 1950's maternity, kitten von mew, lyme regis, maternity fashion, retro maternity, vintage maternity, vintage maternity fashion, vintage maternity outfit. Bookmark the permalink.